Yesterday on Lhakar one of my close activist friends, Lhamo Kyab, who is also an ex political prisoner came into my office. I could see the excitement in his face and eagerness to share something special. He took out his pen drive and made my day even more special, by sharing this moving news about Lhakar in Tibet. 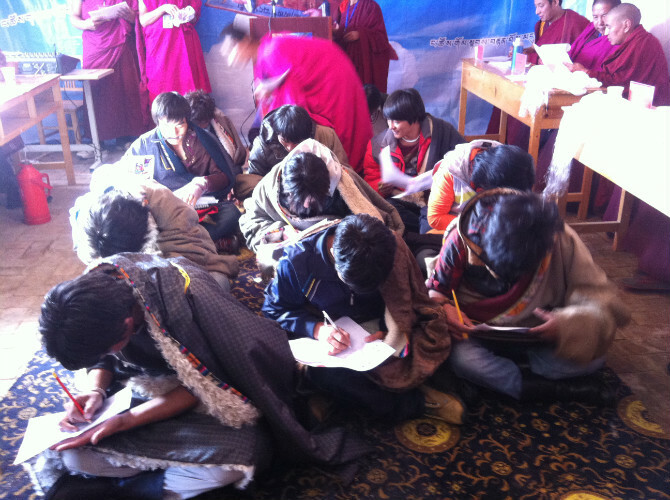 On 15, April 2011 Tibetans in Machu, in Amdo, formed a group called “Bho Pha Kay Dham Sung Thuentsok,” a Tibetan Language Preservation Association, which has now spread its activities across three major areas: Tsongo, Gansu and Sichuan. 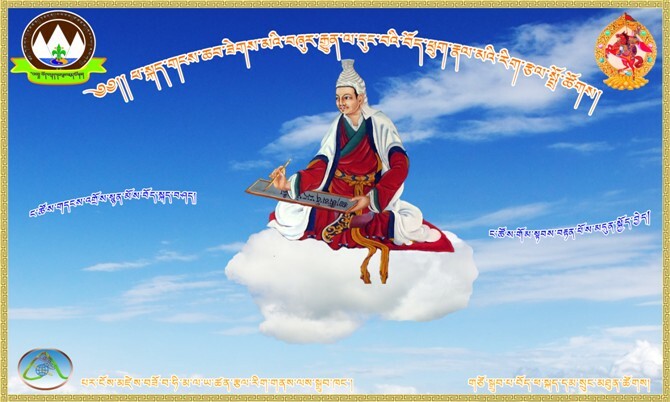 Despite many challenges faced in the regions they continue to work towards their main objective of promoting Tibetan language in all part of Tibet. Their volunteer initiative and work have gained lot of respect and support from common Tibetans from all three areas. 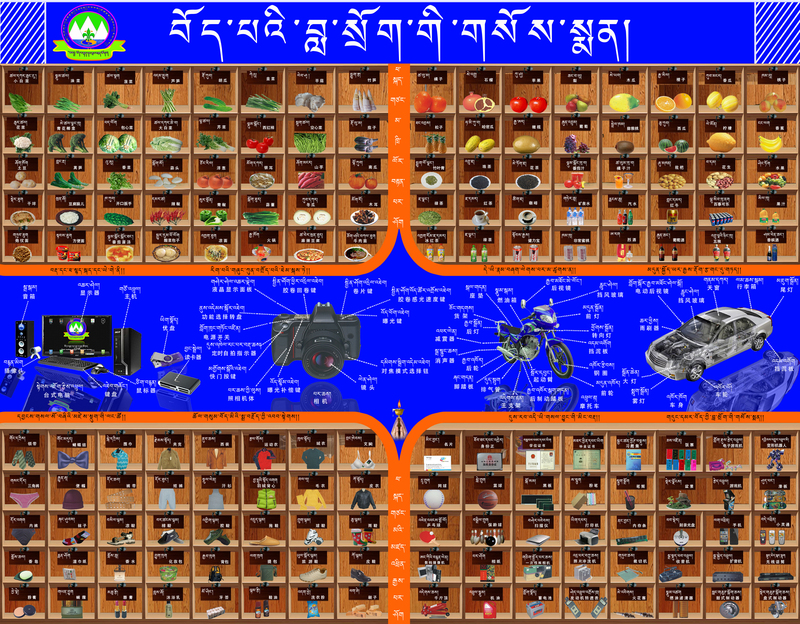 In order to encourage the use of Tibetan language in day to day life, the association took special initiatives such as creating a poster of various objects and commodities with the Tibetan terms clearly pointed out. The posters were put up around public places such as restaurants, shops, monasteries and markets. In the photos we can also see special classes and tests being conducted for the students from different regions. Many learned teachers and intellectuals from different parts of Amdo were also invited to give guidance and evaluate the project. The group elects their leader democratically, not only working for the promotion of Tibetan language, but also toward creating brotherhood among Tibetans. These actions also inciting good moral values to young people. In the afternoon when I walked around the Mcleod market, I felt a sense of pride seeing the smiling faces of children, youth, and street venders wearing Tibetan traditional dress. The sense of pride of being Tibetan was very strong. Lhakar is our hope for Freedom. I would like to thank my friend for making this Lhakar so special.